Senior advocate Ram Jethmalani had filed the defamation suit against the BJP after being expelled by then-party chief Nitin Gadkari in May 2013. New Delhi: It has been more than two years since senior advocate and Rajya Sabha MP Ram Jethmalani dragged his former party, the BJP, to court, for shunting him out in May 2013. It seems now that the two sides have decided to bury the hatchet, because Jethmalani and BJP office-bearers have jointly moved a plea in a Delhi court, seeking a withdrawal of the defamation suit filed by the 95-year-old lawyer-politician. Last month, BJP president Amit Shah and general secretary Bhupender Yadav met the Rashtriya Janata Dal MP and expressed “sincere regret” for his expulsion, which happened when current Union Road & Shipping Minister Nitin Gadkari was party president. A communication issued on 3 November by Yadav had stated that in their meeting, he and Shah had appreciated Jethmalani’s efforts and contribution towards the party. “The plaintiff and defendants have amicably resolved all issues and as corollary the parties shall prefer a joint application for disposal of the suit pending before the hon’ble court,” the communication said. Back in May 2013, Jethlamani, a founder vice-president of the BJP, had filed the suit in a Delhi court, challenging his expulsion from the party on the grounds that it was null and void ab initio. He had sought damages to the tune of Rs 50 lakh. Jethmalani had been suspended from the primary membership of the BJP for six years after he rebelled against then-party chief Gadkari — the oft-outspoken advocate had opposed a second term for Gadkari as party president. 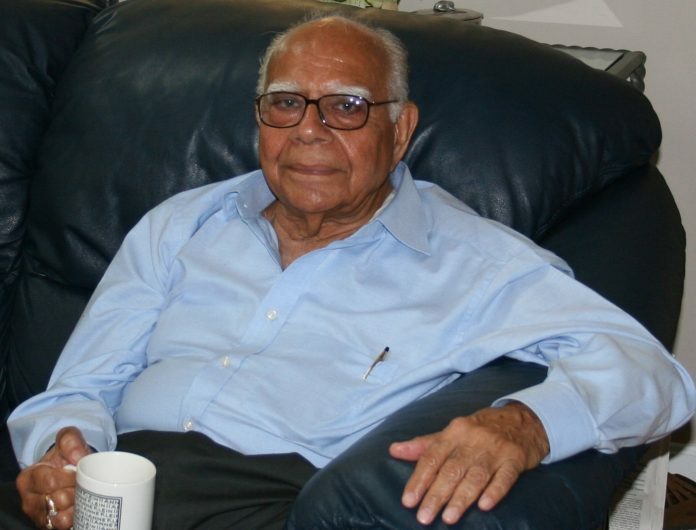 In his suit, Jethmalani had stated that as per the constitution of the party, only the disciplinary board had the power to expel a member from the party. In 2015, the suit was transferred to a trial court in Delhi. At the time of this plea, Yadav was being cross-examined by Jethmalani’s advocate Ashish Dixit.